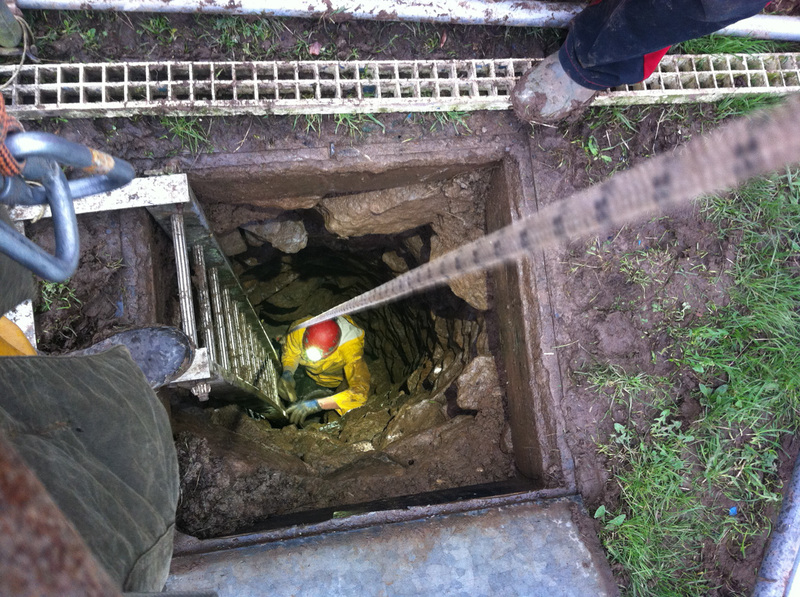 An enthusiastic team of cavers, has been given permission to investigate a mine shaft that opened up in a field just east of the Hunters’ Lodge Inn, Priddy. This shaft is quite close to Tankard Hole, which was last investigated in the 1950s. The old dig was in a very large shakehole, and it reached an impressive depth of approximately 60 metres. Unfortunately, Tankard Hole had to be abandoned in 1960 when the land changed hands, the dig became very unstable, and the shakehole was then completely filled. Tankard Hole was consigned to history, and the field was landscaped. The team have named the new dig Tankard Shaft. It is located in an intriguing part of the Mendip plateau. The area between the Hunters’ Lodge Inn and the A39 road has no known cave streamway under it, and water that sinks in this area is believed to resurge at Wookey Hole. Tankard Hole, the old dig, showed great promise, and there are very few active digs in the area. 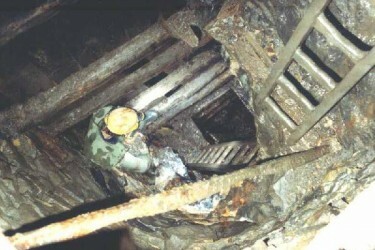 When investigations started on the shaft, the top was found to be ginged, however a large section below this had collapsed, and what remains was dangerously unstable. 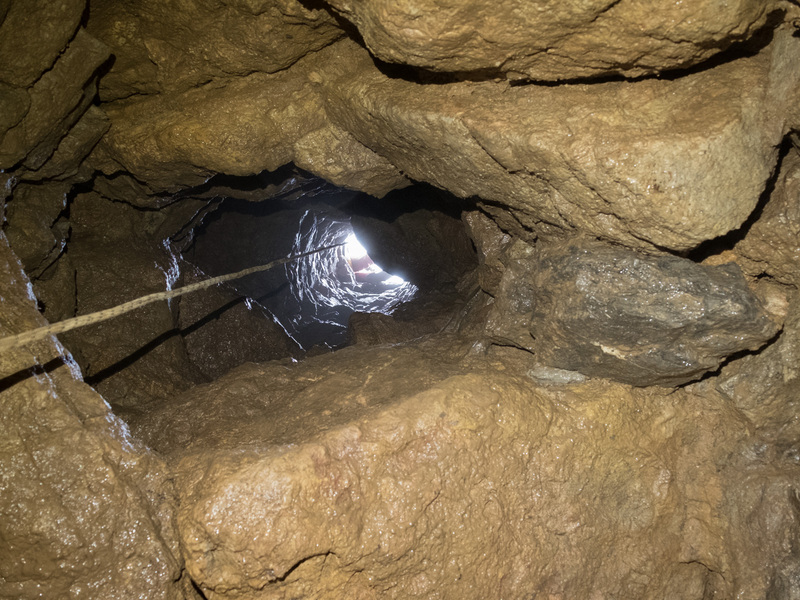 At the bottom, the shaft is in a boulder ruckle, and leads to a small chamber. To one side of the chamber is a rift feature, with what appears to be a section of cave wall visible, beyond arm’s length. By pitching stones into the rift, they can be heard to fall approximately five metres, and there is a noticeable air movement here. Work at Tankard Shaft is being conducted in stages. The first stage is to stabilise the shaft by supporting and reinforcing the ginged section of the shaft. This has nearly been completed, and has been executed by Sarah Payne, Tim Payne, and Duncan Simey. Following this in stage 2, the plan is to dig out the floor and investigate how extensive the mine workings might be. 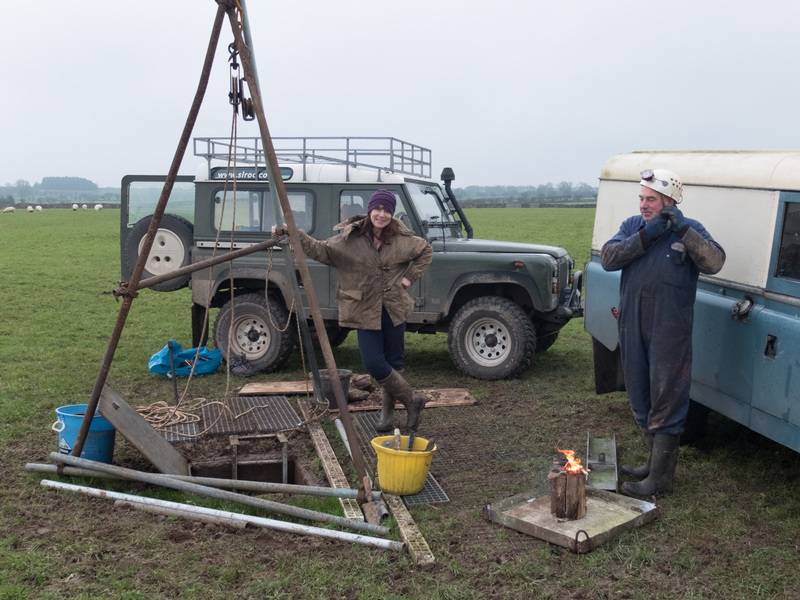 The team believe that this was a proper working shaft, and not just a prospecting hole, and that the present floor comprises the collapsed capping and ginging. 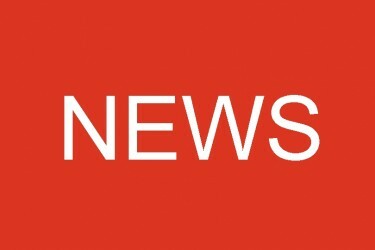 They are confident that there is plenty more of the mine to be rediscovered. Stage 3 will be to attack the boulder ruckle, and look for ways onwards and downwards. Will it go? This appears to be a very promising site, even though it is not expected that the present dig will actually connect with the old dig in Tankard Hole. 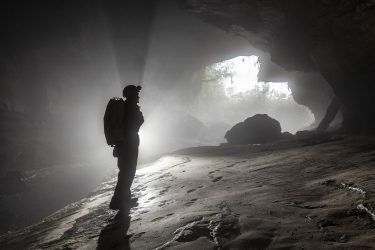 It is drafting like mad, so there seems to be every prospect that it may connect with an extensive cave or mine system. A dig log is being maintained on the UKCaving website, where you can keep up to date with progress. At the request of the landowner, access to the dig is by permission only, and anybody with any enquiries is asked to contact Sarah Payne. Team members: Sarah Payne, Tim Payne, Duncan Simey, Mark Vaughan, and others have helped – visit the dig log for details.